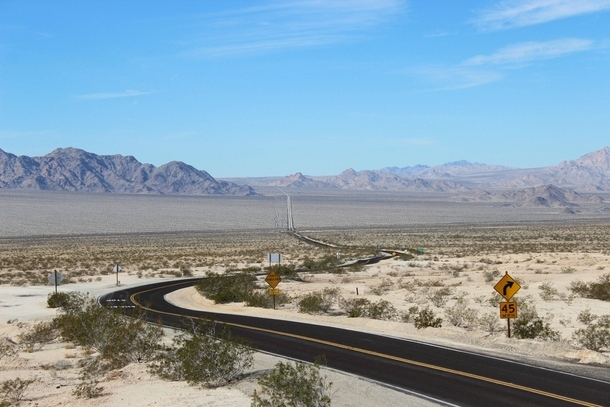 As the summer season comes to an end, I decided to hit the roads and drive up to Nevada this week to soak up the last remaining sizzling summer heat before its gone. 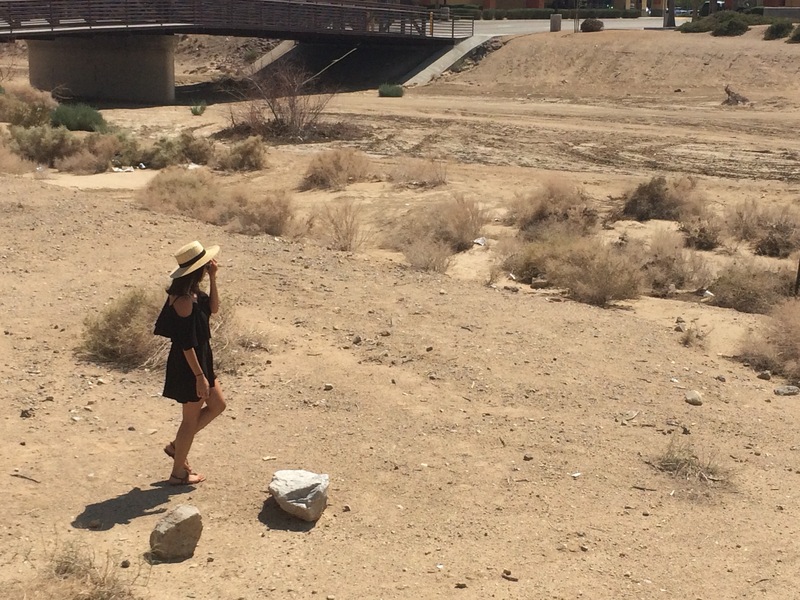 I rented a sweet Toyota Corola LE from Enterprise and hit the sandy desert roads of Route 66. Route 66 had a beautiful desert scenic road, but it was so stinkin hot that at times I felt like I was driving down Dante’s Inferno. 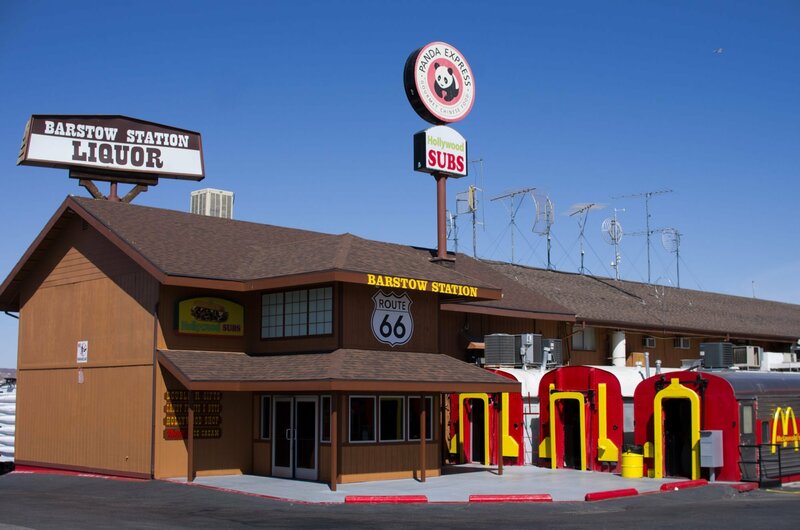 Along the way I stopped by Barstow, CA and I check out the Route 66 McDonalds. They had cute trains that you can go inside and eat your happy meal inside. 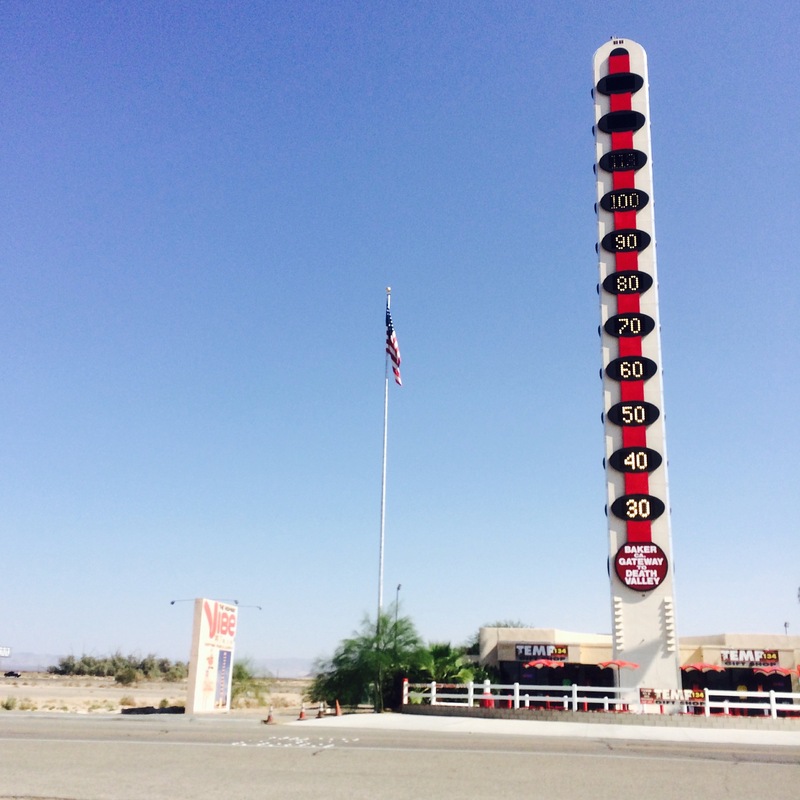 I also took a detour at Baker, CA where I saw the worlds biggest thermometer with my very own eyes. That day the temperature read 113°. Yowza! The moment I opened my car door, I immediately felt the sun’s rays sizzling on my skin and into the depths of my soul. It was so hot that I literally jumped out of the car, took a picture and jumped back in the car in a matter of 10 seconds – it was way too hot to care if the picture came out alright. 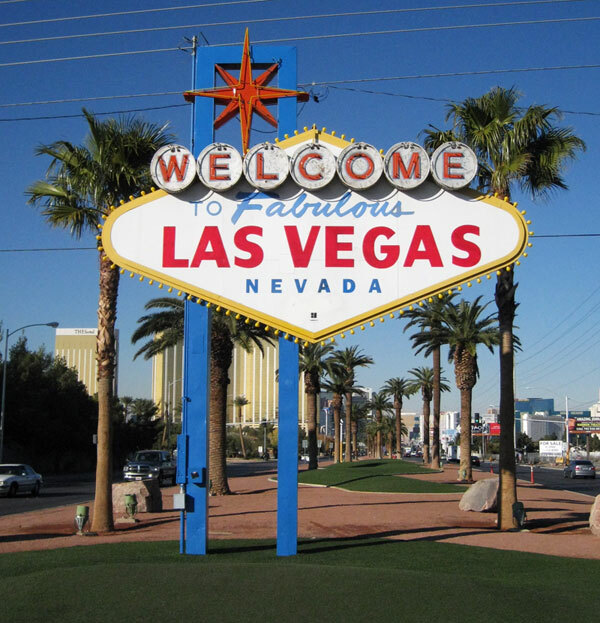 Route 66 eventually lead me to Sin City and I could not be more excited. I decided to stay the night in Las Vegas and have some fun. 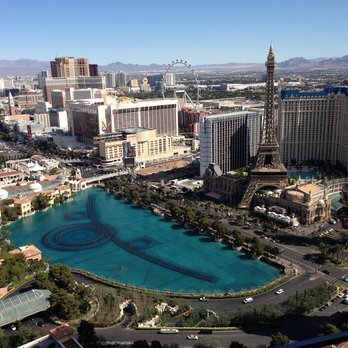 I stayed at the Cosmopolitan where I got a nice suit overlooking Bellagio’s water-fountain show. The view made the room so glamorous, especially at night when I would sit outside on the balcony, sip on some whiskey, and take in the view. Staying at the Cosmopolitan has always been fun because this hotel has THE best restaurants inside. 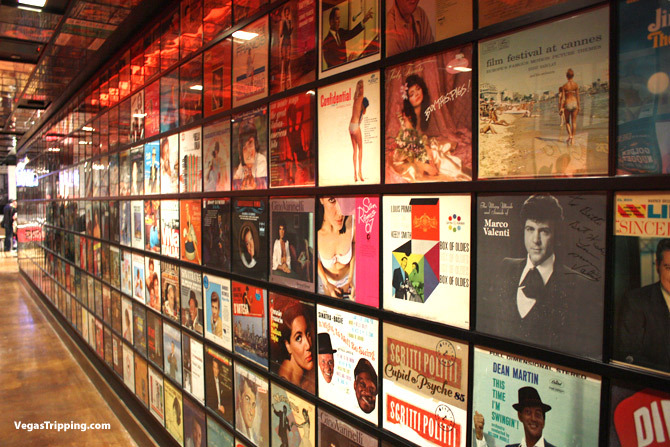 Some of my favorites include: the cold noodles and spicy margaritas at China Poblano, the blue fin tune at Blue Ribbon, the Cheese Burger with Bacon (duh) at Holsteins, and the pepperoni pizza from Secret Pizza (try to find the hidden door inside the hotel). Also the Cosmopolitan is conveniently located near all of the clubs and venues, which made it super easy for me to see Britney Spears in Concert. Oh baby baby! 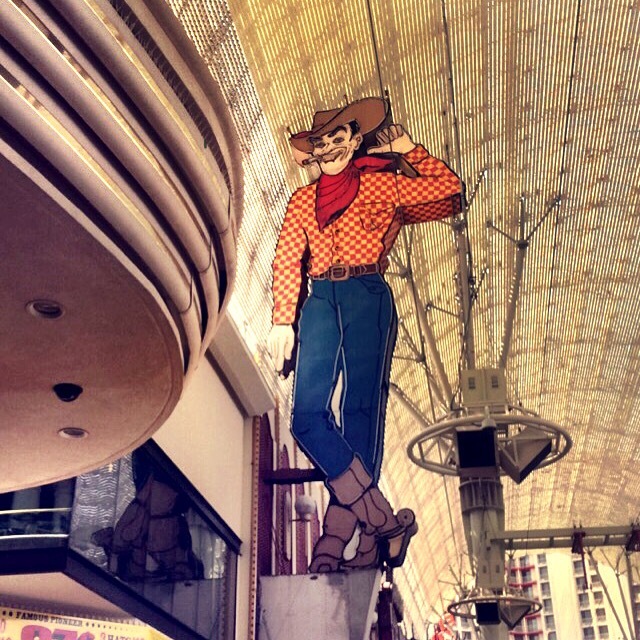 The next day I decided to check out Downtown Las Vegas and see the original Fremont Street. I imaged this place to be full of lights and excitement; however, I sadly discovered that Downtown Las Vegas has not been as well kept as I had hoped for. Downtown Las Vegas was beyond scary and gross. 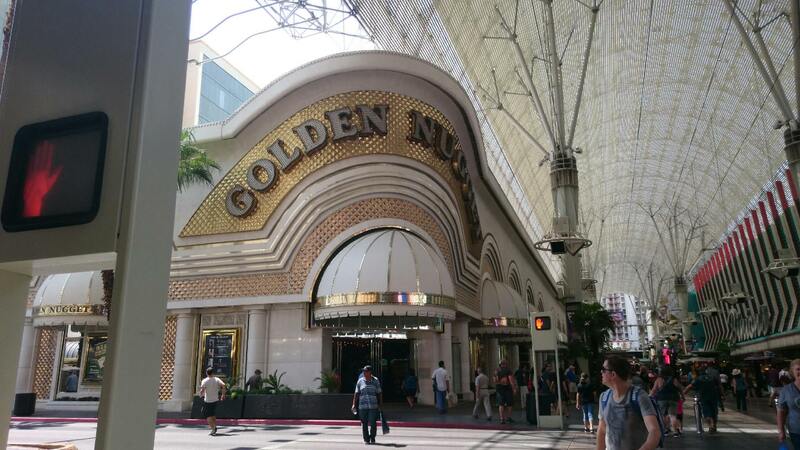 There were drunks and homeless people walking on every street corner and Fremont Street was so old that I felt like I was walking into my grandmother’s closet. I was so grossed out that I left quickly, and I do not think I will ever be back. After my 24 hour vegas trip, I hit the road again and headed back home. Overall, I had a great time, traveling through Route 66 and I will definitely do it again soon! If there are any questions regarding your road trip on Route 66 please feel free to email or message me. I would be very happy to answer any questions. PS – Thank you Kyan for making this trip possible, cannot wait for our next adventure.